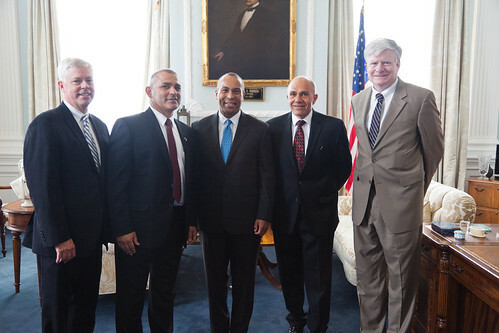 On July 1, 2013, Joseph Foti was sworn in for his fifth term on the MWRA Board of Directors. If you are interested in viewing the June 26th Board of Directors Voting Summary sheets and discussion highlights, please click here. Further, if you would like to view the June 26th Board materials, please click here. In his comments on the quarterly Compliance Order, Judge Stearns called the Advisory Board’s FY14 Comments and Recommendations “highly informative” and praised the Authority’s progress in cleaning up Boston Harbor and “providing consumers with arguably the best public drinking water in the United States” while responsibly managing its budget with the Advisory Board’s oversight. Click here here to read the full compliance order and Judge Stearns’s comments beginning on page 7.